When Wednesday’s news broke of inhumane conditions at Marineland, a Niagara Falls tourist attraction/trap (you choose), I was consumed by the heartbreaking video and details. I gave no thought to the music associated with the park – specifically, the catchy jingle that everyone in Ontario and Buffalo, New York can likely hum along to. Contracts in the music business are seldom favorable to the artists and songwriters; one need only look to this archived post of mine for a rundown on the dangers. It’s no wonder that many larger artists, once finished with their contracts, go independent. Let’s be real: artists need to eat and pay rent. Sometimes, that involves signing on the dotted line for a lump sum to sing a commercial jingle. Big business – including the music industry – takes advantage of this, and ensures that government laws support what works best for them. 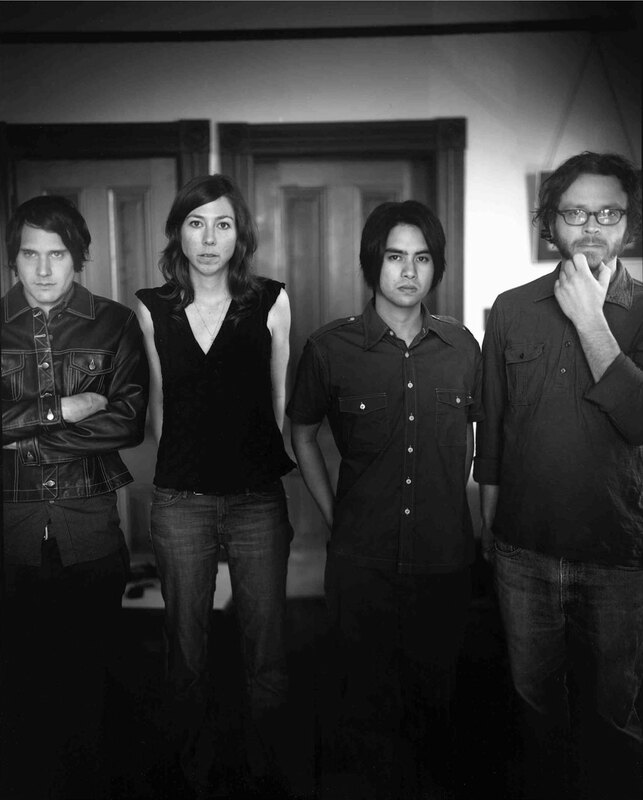 Let’s take another piece of current music news involving unwanted association: Silversun Pickups has issued a cease-and-desist to the Mitt Romney campaign after learning that their song “Panic Switch” was played at a recent event. “Seems as if the GOP is once again whimsically ignoring our great nation’s laws to do whatever it wants to do, and shooting itself in the foot in the process,” band representative Ken Weinstein said in a statement. Weinstein’s remark is plenty accurate: while political parties of all stripes have made a habit of using whatever song they want without asking its creators, the Republican party is rather notorious for it – and for the subsequent media tongue-lashing as artists discover the unfortunate association. K’Naan has previously rebuked the Romney campaign for the mysterious use of his song, “Wavin’ Flag”, and I wager there will be more issues to come, given the large proportion of Democrats among performers. This time, the campaign in question has readily agreed to not repeat themselves, but that’s been anything but the case. During his 1984 campaign, Ronald Reagan misinterpreted the lyrics of Bruce Springsteen’s mega-hit “Born In The U.S.A.” utterly and totally, appropriating the tune for his usage. Springsteen was unimpressed, given the true meaning of the song he’d penned. Tom Petty has had to contact both George W. Bush and Michelle Bachmann, the latter over her use of his tune “American Girl”. Don Henley took issue with Chuck Devore’s usage of “Boys Of Summer” and “All She Wants To Do Is Dance” in his Senate campaign. Broadening our search for offenders, radio host Rush Limbaugh seems to have made a career of ticking off the band Rush, using their music repeatedly, much to their displeasure. Current Vice-Presidential hopeful Paul Ryan mysteriously says he loves rocking out to Rage Against The Machine, which I’m sure will go over well with a band that staged a protest concert at a Republican convention (Edit: after this posted, Tom Morello confirmed my suspicions). It should be noted that the Democrats aren’t innocent, either; Barack Obama’s campaign received a request from Sam Moore to stop using “Soul Man” and “Hold On, I’m Coming”. However, Obama complied with the artist, a rarity, On the Canadian end of things, it’s no different: in recalling Jack Layton’s request to use “Rise Up” for the New Democratic Party (NDP), songwriter and Parachute Club member Lorraine Segato was quoted as saying, “Over the years, many political parties have either used or wanted to use the song ‘Rise Up’ for their campaign. Most of the time, they don’t ask. They just use it until you say no. Well, Jack asked to use our song and I said, Forget it, we’ll write you your own anthem.” It’s a sad state of affairs, but an accurate one: political parties tend to just use music and hope artists won’t say anything at all. The McCain-Palin campaign likely takes the prize for worst offenders of artists, receiving cease-and-desist demands from Foo Fighters, Van Halen, John Mellencamp, Frankie Valli, ABBA and Bon Jovi. Jackson Browne also pursued legal action against the campaign after his song “Running On Empty” was utilized in an attack ad on Obama without consent. However, the most prolonged and disheartening disregard for an artist’s opinion was the use of Heart’s hit song “Barracuda” by Palin. 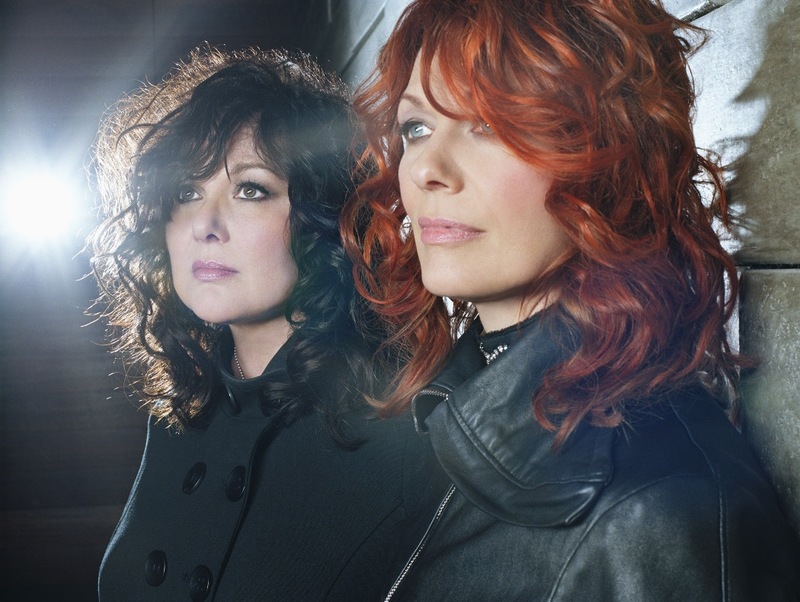 Despite vocal public protests from Ann and Nancy Wilson – who noted that the song was about the viciousness of the music industry, particularly for female artists – the campaign continued to pump “Barracuda” through loudspeakers across the country. Although former Heart member Roger Fisher contributed part of his royalties to the Obama campaign, creating a delicious irony, the fact remains that Heart had no legal ground upon which to compel compliance. How is it possible for a political campaign to not bother with permission? Surely, of all people, they are aware of the law, right? Sadly, they are aware – and they’re perfectly within their rights to play any song they please at events (advertisements and official videos are another matter, which we’ll get to). Being as the laws are structured similarly, I’ll break down the American regulations. Songs are distributed by massive licensing bodies – ASCAP, SOCAN, BMI and so on. In the case of “Barracuda”, the American Society of Composers, Authors and Publishers (ASCAP) was the distributor in question. These distributors offer ‘blanket licenses’ that are purchased by radio shows, political campaigns and so on, which in turn allows said license holder to play any song that the distributor handles without the permission of the artist. These licenses apply, by the way, to weddings and events where a DJ is employed; while many venues pay the fee themselves, I learned of this via checking into a venue that required a license purchase from SOCAN for $45. Now, this license allows the campaign – let’s go with Palin for consistency – to play anything ASCAP has all it freaking well wants, no matter how angry it makes the artists/composers. While one would think diplomacy and tact would be the course taken to maintain a positive public image, Palin’s people didn’t care. The song was too crucial for them, given their references to Sarah’s nickname, “Sarah Barracuda”. Heart literally had no choice but to accept this reality. The only area where a legal action may have been possible would be advertising or promotional videos – those slick, polished pieces that are uploaded to YouTube or played on TV. These require a different license, a “synchronization” license. Further, if Heart felt the song was used so much as to become synonymous with Palin – essentially “ruining their brand image as a band”, they could attempt to sue, although even then, things might still not go their way. In sum, although an artist may be powerless to avoid songs being used by a candidate they do not support via copyright infringement protection, they can argue under the Lanham Act that excessive use of a song is creating a false association of sponsorship. This was Jackson Browne’s battleground with McCain, given his long-term endorsement of Democrats and Barack Obama. As if music artists struggling to gain a following and make a living at their craft didn’t have enough to worry about! What can artists do? Aside from public shaming and potentially arguing against tainting of their brand, not a whole lot. It’s depressing. Moral rights – the notion of being able to fight usage on the basis of beliefs and distortion of the meaning of one’s work – exist only barely in Canada, in even more limited fashion in the UK and not at all in the US. As for advertising itself, even that area seems grey. Depending on the contract with a label, your song may end up in an iPod commercial or hawking Super Fries whether you’re in favour or not. Perhaps that’s why Adam Yauch (MCA of Beastie Boys) went so far as to stipulate in his will that, “In no event may my image or name or any music or any artistic property created by me be used for advertising purposes.” Frequently speaking out against such actions in life, he strove to ensure his principles were upheld after his passing. Whether the will holds enough legal power to prevent the other Beasties from authorizing such endeavors is unclear, although none of the boys seem keen on the concept. Still, it’s a move artists may want to consider, if done properly. Politics and music have always shared an uneasy relationship with song being a tool of protest for decades, perhaps centuries. As branding becomes an increasing part of political campaigns, I wonder how the legal landscape will shift, if at all. For now, artists need to carefully consider the rights they are willing to sacrifice in the name of a contract, and fight for better recourse. Are you an artist or industry insider with a viewpoint to share on this subject? Contact me via my About page. This discussion is far from over, I’m certain. 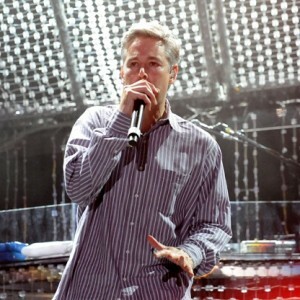 I’m interested in seeing how Adam Yauch’s will holds up in the future because it creates a grey area over the regulations already set in place. The rights of artists and musicians have always been small, which is extremely unfortunate. From a business standpoint, it’s understood why the operations are structured like they are, but while an artist is translating their feelings and soul into their art, the businesses sometimes simultaneously, and without permission, are allowed to sell that soul to any devil they’d wish. It’s a sad predicament sometimes. Thank you for posting this and spreading the knowledge.